Indian authorities last year pulled the plug on a dubious clinical trial aiming to reverse brain death in 20 people. But, it seems, the resolve of the trial’s leaders is undying. They have revived their plans and will announce a new trial in upcoming months that will take place somewhere in Latin America, Stat reports. The trial, led by Philadelphia-based biotech firm Bioquark, aims to restore life to those declared clinically brain dead by using a slap-dash potpourri of methods—combining mesenchymal stem cell injections with peptides said to promote brain cell growth, transcranial laser therapy said to jump-start brain cells, and electrical stimulation of the median nerve (a major nerve that runs through the arm) to enliven the senses. Individually, some of these interventions have hinted at potential benefits for some patient populations in preliminary research. For instance, early studies suggest that stem cell injections into the brain or spinal cord may help some with brain injuries. But there is no indication that the interventions—individually or together—can bring back brain-dead patients. Bioquark and partners have not even tested out their hodgepodge method on animals. It’s claimed that listening to this one song — “Weightless” — slows your breathing and reduces brain activity to such an extent that Weightless, written by Manchester band Marconi Union, is said to be the ‘most relaxing song ever’. Victoria’s latest road safety campaign has a new face and it is sure to be one most people will not forget in a hurry. An unusual human sculpture, named Graham, has been created by renowned Melbourne artist Patricia Piccinini in collaboration with a leading trauma surgeon and crash investigation expert. Humans would have to look something like Graham in order to survive a crash, according to the Transport Accident Commission (TAC). 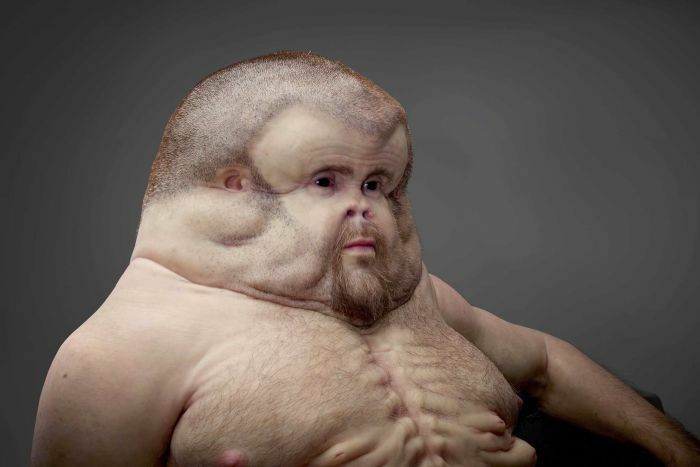 Graham has a large thick skull, is lacking a neck, and has sacks of air on his chest to act like car airbags. Piccinini used silicone, fibreglass, resin and human hair to make him. “I really listened and internalised the science of it and then I approached it in a creative way, on an emotional level,” she said. The TAC said the campaign was different from its usual campaigns and was designed to highlight human vulnerability on the road. “Our vulnerabilities are at the heart of everything that we do in road safety – how do we protect ourselves on our roads,” TAC chief executive officer Joe Calafiore said. Holidaymakers in China’s Shandong province have found an alternative to the classic combination of sunscreen and hat. Opting out of tanning, fair-skinned men, women and children visiting the sandy beaches of Qingdao have been sporting Face-Kinis. The brightly coloured protective item is similar to a balaclava and appears to be sewn out of waterproof fabrics. This facemask and swim hat hybrid may seem like a drastic measure to cut down on UV exposure, but it is a popular accessory on these shores. And, it been that way for years. Like Pokémon Go? Like Dogs? Live in Indiana? Then get in touch with Muncie Animal Shelter (USA) because they want you to take their dogs for a walk while you’re out capturing Meowths and Rattatas. Editor’s note: Maybe this can take off in Australia, sure better than playing Pokémon Go while driving! Cmarn folks, don’t game and drive!